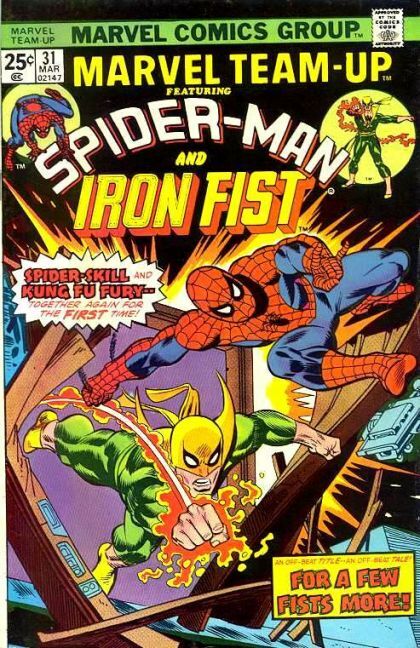 Spider-Man and Iron Fist: For a Few Fists More! This story is told in flashback, as Peter Parker records an accounting of one of his adventures. Spider-Man and Iron Fist encounter Drom, an evil version of Benjamin Button. How can they defeat a man who will drain their life energy on contact?